Injury Prevention | An international journal, IP offers the best in science, policy and public health practice to reduce the burden of injury in all age groups around the world. 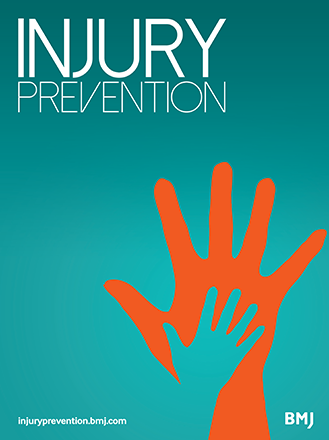 Injury Prevention is an international peer reviewed journal that offers the best in science, policy, and public health practice to reduce the burden of injury in all age groups around the world. The journal publishes original research, opinion, debate and special features on the prevention of unintentional, occupational and intentional (violence-related) injuries. Injury Prevention is online only. It is the official journal of the Society for Advancement of Violence and Injury Research (SAVIR). Follow Injury Prevention via Twitter, Facebook and the blog. Injury Prevention considers unsolicited submissions of a wide range of article types, including original research, systematic reviews, and methodology articles. The Author Information section provides provides general guidelines as well as requirements for specific article types.